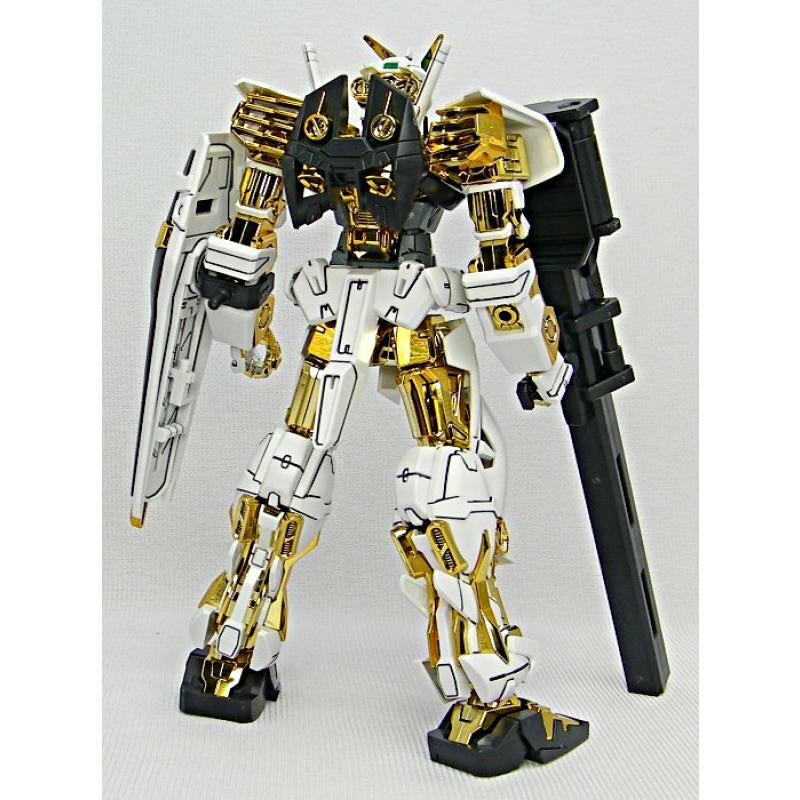 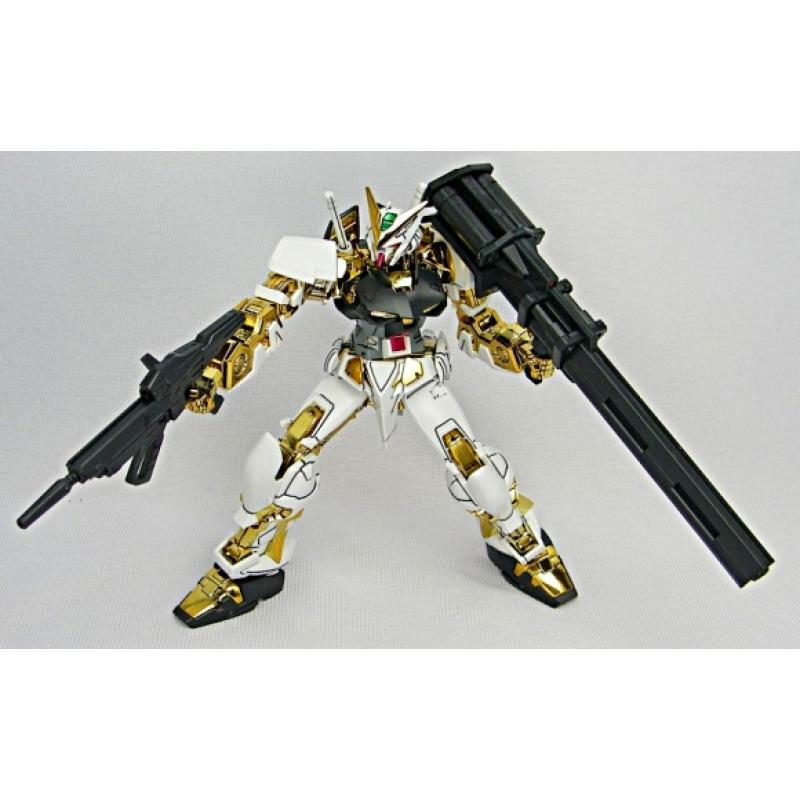 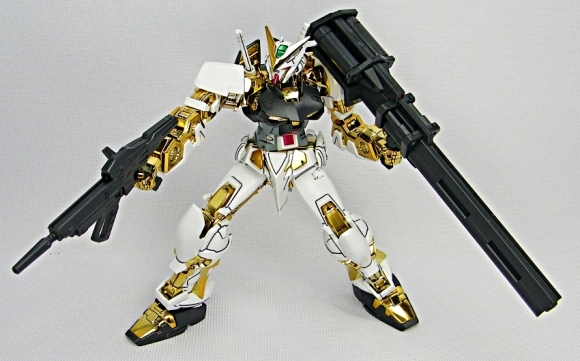 A 1/100 scale model of the Gundam Astray Gold frame, rescued from Heliopolis just before its destruction. 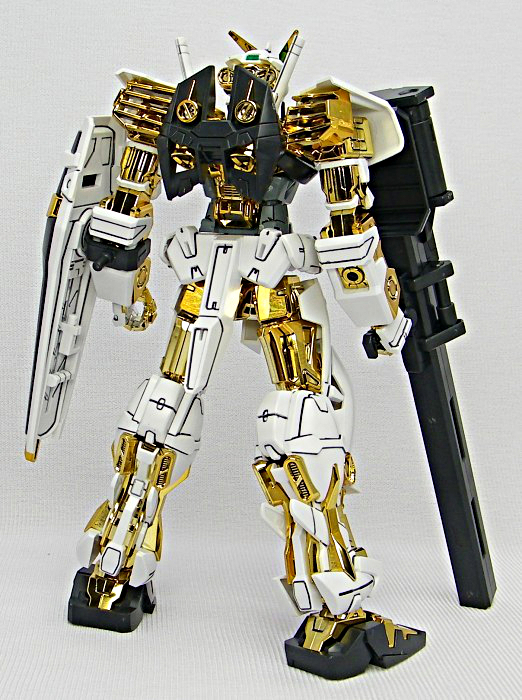 Entire frame is finished in gold chrome. 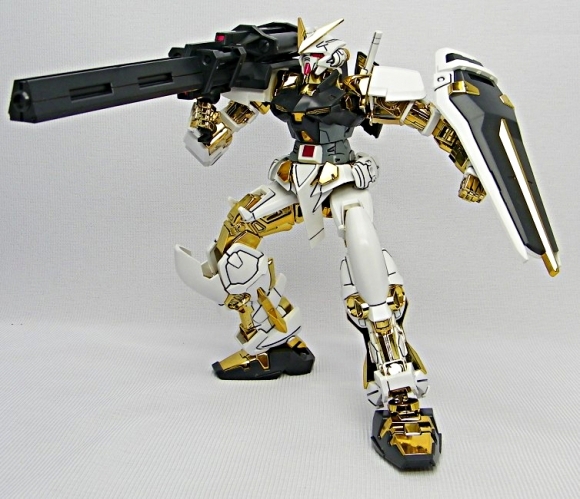 Includes parts for replicating the one-armed version as seen in the comic. 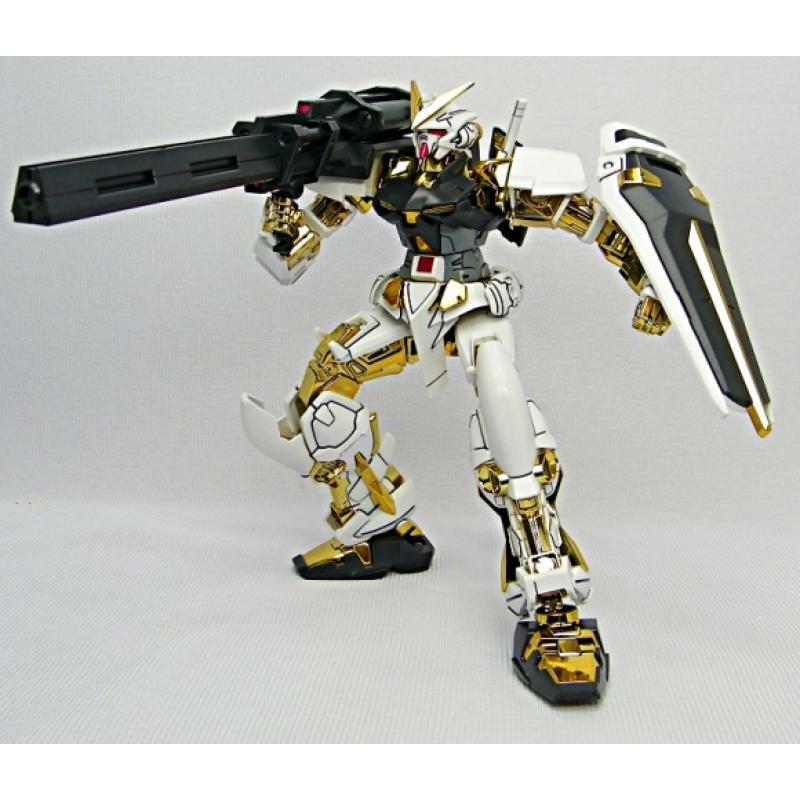 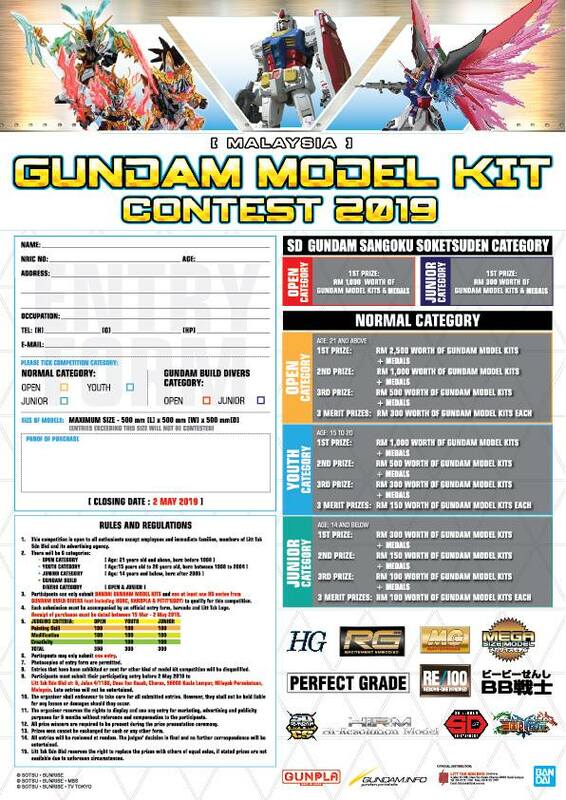 Includes beam rifle, shield, two beam sabers, and the Duel Bazooka used to escape from Heliopolis.